Sara found yoga when a lifetime of contact sports and weight lifting left her debilitated by back pain. She was hooked fifteen minutes into her first class and knew she would practice this yoga for the rest of her life. 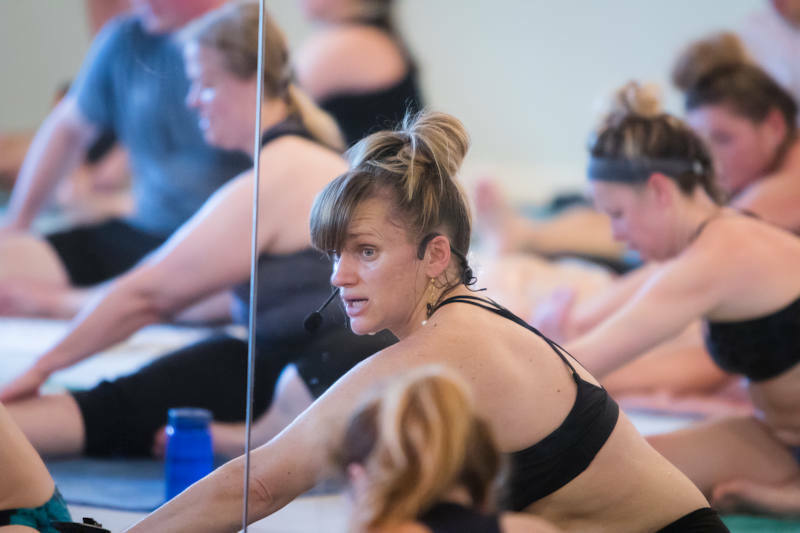 She teaches each class with her whole heart, with the drive to help others share the transformative power of this yoga that gave her back her life. Sara blends physicality and meditation toward the same goals: healing, health, and self-awareness. Jaylon spent over a decade in Social Work before making the decision to start taking care of himself in order to better take care of others. Mental clarity and the ability to push his body to its limits keeps him practicing daily. "I’m going to give you everything I have and you’re going to give me everything you have,” sums up Jaylon’s class in a nutshell. His boundless energy and encouragement makes the 90 minutes fly by. Andie won a month of unlimited yoga at her daughters’ school spaghetti supper. After just one class, she was hooked on how wonderful and peaceful the yoga made her feel. 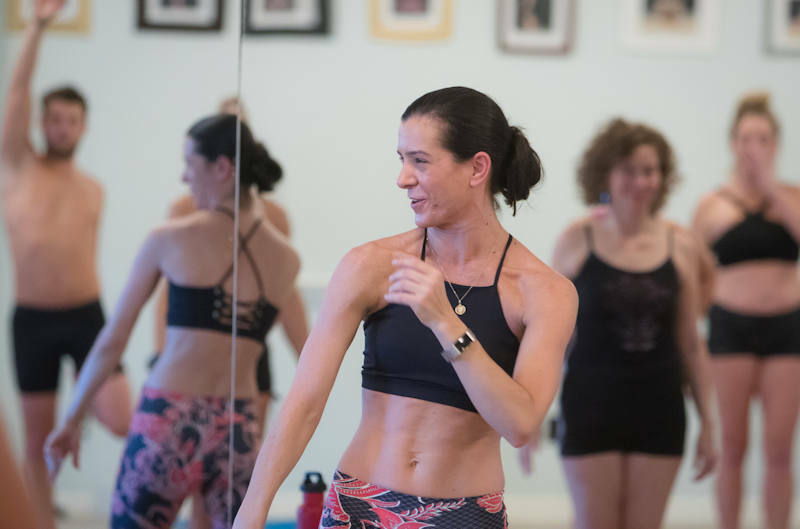 She keeps coming back because the yoga makes her mind, body and spirit feel “Awesome on a stick!” Join Andie in class for a powerful dose of positivity and inspiration. Lana walked into her neighborhood Bikram studio in San Francisco in 2000 without knowing what she was getting herself into. She was drawn in for the physical benefits, but soon realized it went way beyond the physical. The transformational power of the practice and the community it creates has been an anchor for her through the ebb and flow of life. Lana taught regularly in Iceland, Netherlands, Atlanta, before moving to the Seacoast in 2014. She is also a teacher with SATYA in the Yoga and Cancer Program, which offers free yoga classes to those affected by cancer. She completed the Barkan Method of Hot Yoga Level I, II and III teacher training, is a 500-RYT and has been teaching since 2009. In addition to her passion for yoga, she is also a visual artist and has her MFA from the School of Visual Arts in New York City. Erin came to the yoga thinking it would be easy and was quickly proven wrong. She is dedicated to her practice because of the stability it brings her mentally and because of the positive effects it has on her body, particularly the way it helps her Type I diabetes. Erin is a true testament to the healing power of yoga. Her smooth, soothing style on the podium keeps the students calm, even when facing challenging postures. If you’re lucky, she might turn into a little songbird at the end. 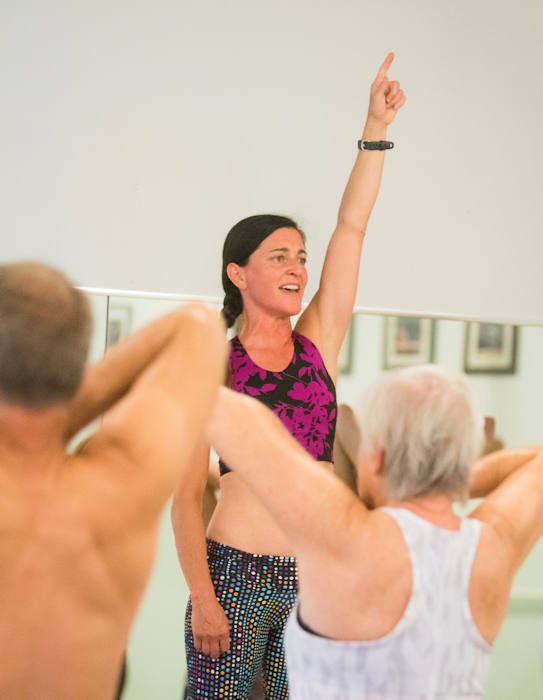 A chronically freezing person, the lure of the heat initially drew Nel to try Bikram Yoga. Hooked from her first class, she loved the challenging nature of the class. The undeniable physical and mental results keep her coming back. It was during her second pregnancy that she really experienced the amazing benefits of this yoga and realized she had to share! A huge fan of corny jokes, she loves sprinkling a little humor into this amazing 90-minute workout. 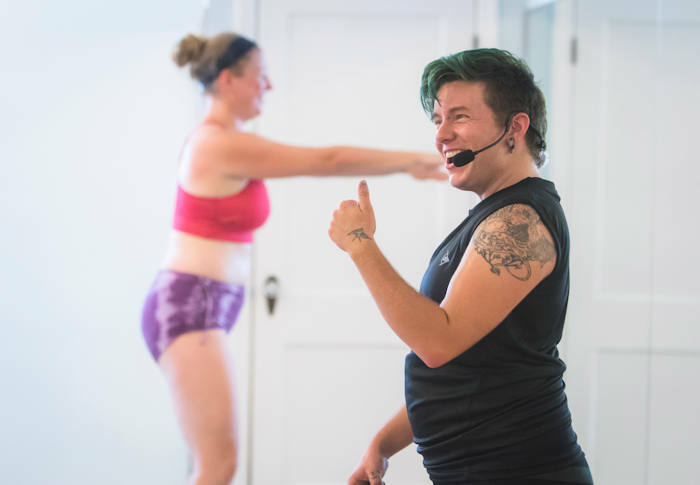 Nick is a smart-mouthed, old-soul yogi who survives on yoga and iced chai, believing in the power of “do whatever you want, all the time.” Bikram Yoga has brought Nick new strength and a fresh love for life. At the start of adulthood, Nick found themself overwhelmed and drowning in depression and alcoholism. The hot room offered them solace from their addiction, a safe space, and a place full of love. Nick is a strong believer in the power of Bikram Yoga and the way it can change lives. Their class is equal parts passionate and sweet. Kristi took her first class in 2005. Suffering from a chronic hamstring injury, she had heard about the benefits of Bikram yoga. The hardest part was getting in the door. Since then she has never looked back. Initially drawn to the yoga for the physical benefits, she now practices for the mental and emotional benefits. It's not easy but it's the best 90 minutes of her day. An International Crossfit Champion, she calls the yoga her "secret sauce" and knows it is the antidote to her workouts in the gym. In 2003, Jenn convinced herself to try hot yoga, despite her aversion to extreme heat and profuse sweating. After her first class, she felt energized, exhausted, drenched, and convinced that she had found her passion. Committing to a lifelong practice was the logical conclusion. Since then, Jenn has maintained a consistent practice, participated in yoga competitions and completed teacher training. Yoga has stayed by her side through adversity and prosperity, and has provided her with a place for mental, physical and emotional support. Come to Jenn’s class to sweat, stretch and “work it out” on the mat. Libby discovered this amazing yoga for stress relief during grad school in 2010. Before yoga, Libby was plagued with low self-esteem and negative body image. Day in and day out, as she watched her sweaty self in the mirror, she began to fall in love with the amazing woman staring back at her. It is Libby’s passion to spread the message of self-love and respect to all of the students who walk into the hot room. Sarah started practicing at BYP in 2005 because of the plentiful class schedule. There was no excuse not to fit one in several times a week. She immediately loved being wrung out by the effort of class and the deep relaxation afterward. Yoga soon became indispensable to managing the rigors of her professional life. 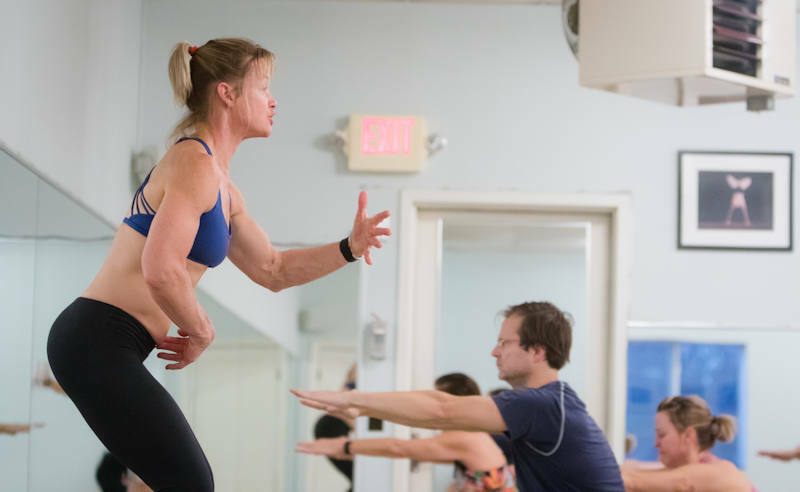 As an instructor, she knows that every body—even an aging body—can become stronger and more flexible. 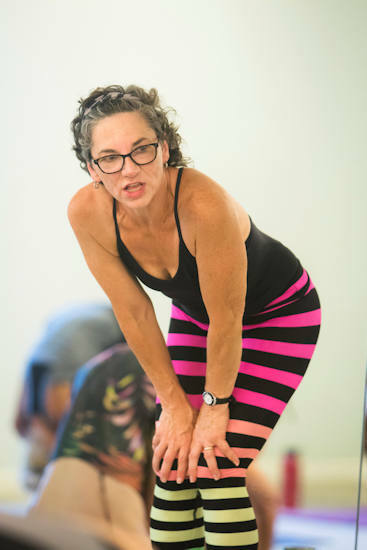 Sarah has entered USA Yoga’s Regional and National Asana Championships since 2014 and won Gold in the Adult 50+ Regionals three times. Looking for a way to overcome a life of limiting beliefs, Glen joined a group of friends for his first hot yoga class in 2016. The physicality of the practice and the sense of community kept him coming back. “You mean, I can be myself, and get love back in return?” Finding his Tribe, Glen enjoyed the physical, mental, and emotional focus of the classes that brought him a sense of self-awareness, understanding, and growth. Always ready for a hug or a high-five, Glen leads class with kindness and generosity of spirit.